Y & Y Acupuncture and Chiropractor (New York) - Book Appointment Online! 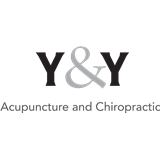 We at Y & Y Acupuncture and Chiropractic are committed to providing and maintaining optimal health care. We value one-on-one time with patients and practice patient-centered care. We offer integrative treatment tailored towards each individual and incorporate the best of both Eastern and Western medicine. Being healthy and staying healthy are essential. We want you to enjoy life with your family and friends without limitation. Dr. Wu has a warm, gentle, efficient manner. She is highly knowledgable, professional and caring. Her treatments have been effective. (This from someone who was skeptical of acupunture and needle-phobic! ).